Park passes can be purchased online at from Parks Australia or from Tourism Top End in Darwin CBD, South Alligator Resort 40kms before you reach Jabiru on the Arnhem Highway, The Bowali Visitor Centre which is National Park Headquarters and is just a couple of kilometres down the Kakadu Highway (turnoff just before Jabiru) or if you are coming from Katherine you can get them at Mary River Roadhouse which is the next fuel stop after Pine Creek. 100% of park pass revenue is invested directly back into the park. This helps to provide the visitor services and facilities you enjoy, preservation of the World Heritage environment and cultural sites, as well as payments to the traditional owners, supporting their homelands, training, and business development. 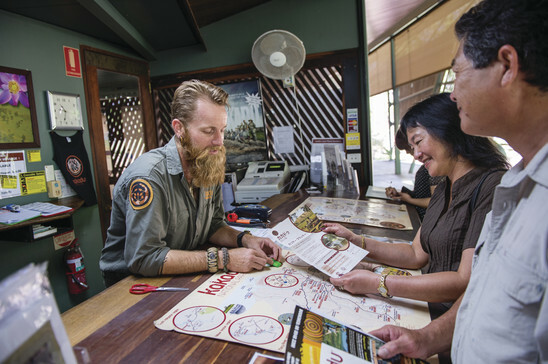 The Kakadu park pass only contributes 7% to the running of Kakadu with the remaining funding coming from the Commonwealth Government.